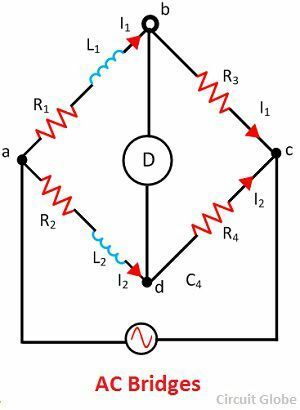 One of the significant difference between the AC and DC bridge is that the AC bridge is used for measuring the unknown impedance of the circuit whereas the DC bridge is used for measuring the unknown resistance of the circuit. The other differences between the AC and DC bridge are shown below in the comparison chart. Definition The bridge which is used for measuring the value of unknown impedance is known as the AC bridge. The DC bridge measures the unknown resistance of the circuit. The ac bridge consists source, balanced detector, and the four arms. The arms of the bridge consist the impedance. The AC bridge is constructed by replacing the battery with the ac source. The bridges are formed by replacing the DC battery with the AC source and galvanometer with the Wheatstone bridge. The bridge is used for detecting the inductance, capacitance, storage factor, dissipation factor etc. The DC Bridge is used for measuring the unknown electrical resistance. This can be done by balancing the two legs of the bridge circuit. The value of one of the arm is known while the other of them is unknown. The bridge which is used for measuring the unknown impedance of the circuit is known as the Wheatstone bridge. The DC bridge is used for measuring the unknown resistance of the circuit. The AC bridge uses the AC supply. The DC bridge uses the DC supply for measuring the resistance. In AC bridge the current is detected by using the AC detector. While in DC bridge the current is detected by using the DC detector. The resistive and reactive components are used in the AC bridge circuit while in the DC circuit only resistive components are used. The AC bridge circuit uses the Wagner earth device for removing the earth capacitance from the circuit. It also reduces the harmonics and the error which occurs because of the stray magnetic field. The Wagner earthing device is not used in the DC bridge circuit. The AC bridges take less time to comes in balance condition while the DC bridge uses comparatively more time to comes in the balanced condition. Wheatstone Bridge and the Kelvin bridge are the types of the DC bridge. The AC bridges are classified into seven types. These are capacitance comparison bridge, inductance comparison bridge, Maxwell’s bridge, Hay’s bridge, Anderson Bridge, Schering bridge, Wein bridge. 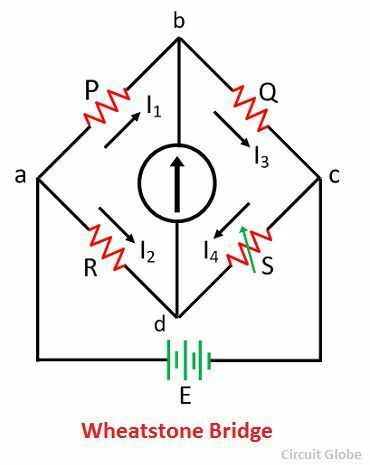 The AC and DC bridge both are used for measuring the unknown parameter of the circuit. The AC bridge measures the unknown impedance of the circuit. The DC bridge measures the unknown resistance of the circuit.